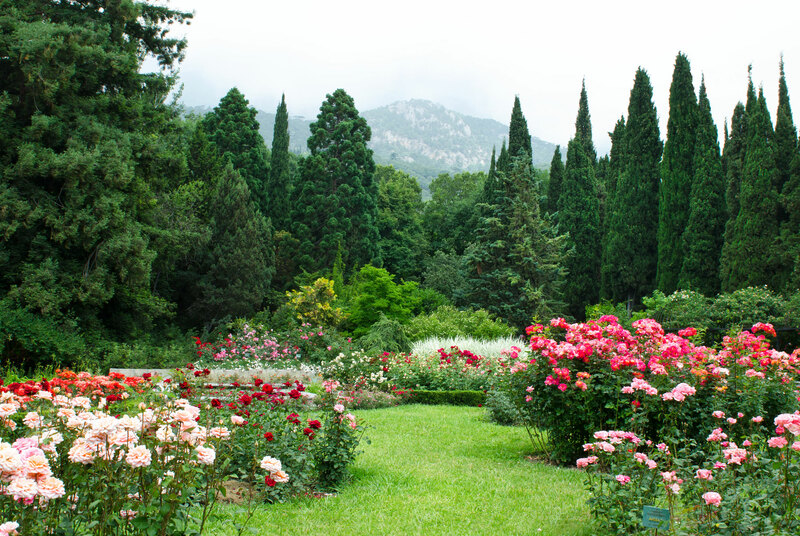 Italian cypress (Cupressus sempervirens), also known as Mediterranean cypress, has been used in formal gardens and around buildings for centuries. This tall, narrow tree can reach heights over 50 feet, but is rarely more than 15 feet wide. Cypress can be very long-lived; some trees are reported to be over 1,000 years old! Performs best in sandy, well-drained soils of slightly acidic pH. Less established or root-restricted trees are only moderately drought tolerant. Commonly infested with spider mites, leading to bronzing or dusty appearance. Also susceptible to armored scale infestation (Minute cypress scale). Phytophthora root and crown rot is common with deep planting, over-irrigation, or poor drainage. Branch dieback due to Seiridium canker is also common on stressed plants. Often planted in large groups, leading to poor planting practices and buried root collars. Treat preventatively against Phytophthora in heavily irrigated or poorly drained sites. Monitor for mites and scale and treat as warranted. Minimal pruning requirements; remove dead branches and occasional bent/broken branches extending outside natural shape.